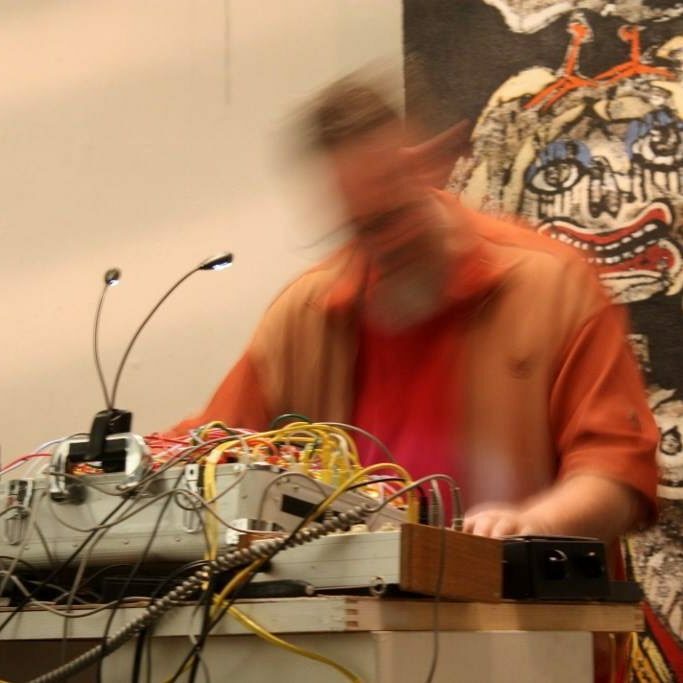 Dr. Richard Scott is a composer and performer of electronic and improvised music. For much of the last decade he has been dedicated to the compositional and performance possibilities of analogue modular synthesizers. He also works with a variety of digital technologies such as Ambisonics, multichannel diffusion and with instruments such as the Buchla Lightning and Thunder and his self-designed WiGi system developed as an Artistic Resident at STIEM. He has performed with many great improvising musicians, for example; Axel Dörner, Thomas Lehn, Audrey Chen, Clive Bell, Richard Barrett, Kazuhisa Uchihashi, Michael Vorfeld, Jon Rose, Ute Wassermann, Shelley Hirsch, Evan Parker, Frank Gratkowski, Stock, Hausen and Walkman, Bark! and the Lightning Ensemble. Initially inspired to play electronic music by Cabaret Voltaire, Lee Scratch Perry and Stockhausen in the early 1980s he was later introduced to free improvisation by John Stevens (Spontaneous Music Ensemble) and studied saxophone under the guidance of Elton Dean and Steve Lacy. He studied Indian classical and West African music and later acousmatic and electroacoustic composition with professors David Berezan and Ricardo Climent. He has released many recordings, for example with Grutronic and Evan Parker for PSI records and a solo double LP, Several Circles, and an album with Twinkle3 and Sidsel Endreson for Cusp Editions. In recent years he co-founded and co-curated several notable concert series in Berlin: Basic Electricity, AUXXX and Sound Anatomy. From his Berlin studio he also works as a Mastering Engineer, mostly for weird and wonderful artists and labels, for example his own Sound Anatomy label, PSI Records and Huddersfield Contemporary Records (HCR). He holds a PhD in Sociology/Musicology, an Masters in Electroacoustic Composition, an HND in Jazz Theory and Musicianship and is currently working on a second PhD, this time in Composition. He is author of several articles on the subject of Free Improvisation, Modular Synthesis and post-acousmatic music and he recently edited an issue of eContact! journal dedicated to Analogue and Modular Synthesis. Scott has been described as, “a singular virtuoso”, and “a master of the analogue synthesizer”. His 2016 electroacoustic suite Several Circles was described as, “fantastically colourful and abstract”, “brilliant and confounding” and as “a universe all of its own”. His music has been referenced to such as Morton Subotnick, Derek Bailey, Mouse on Mars, Todd Dockstader and Autechre. From September 2018, he will be leading dBs Berlin’s Masters course in Creative Production.